The Canadian Country Music Hall of Fame and Museum collects, preserves and displays the history and tradition of Country music. The Canadian Country Music Hall of Fame honours Canadian country music artists, builders or broadcasters, living or deceased. The Country Music Hall of Fame is a national attraction and a must see Nicola Valley Experience in Merritt, BC Canada’s downtown. desolate landscape has been the inspiration for the biggest Country Music Festivals in Canada. In addition it has earned Merritt the title, Country Music Capital of Canada. It has also set the stage for the Country Music Hall of Fame to showcase our national artist inductees, song writers and their contributions to country music. The Maritimes, parts of Ontario and BC shared a strong folk tradition similar to that of the Appalachian region of the US. Because of this country music has found ready acceptance in Canada. It was first popularized by fiddlers such as Don Messer and George Wade. They started their careers on radio in the late 1920s. The Canadian Victor Record Co signed Wilf Carter in 1932, and his success prompted Victor to sign Wade (1933). Hank Snow (1936) and Hank LaRivière (1941) were signed as well. Carter, Snow, and later Earl Heywood introduced a unique style of country music to the scene using a lower, less nasal-sounding voice with clearer enunciation and fewer of the blues like slurs and high whining sounds that dominate much American country music. 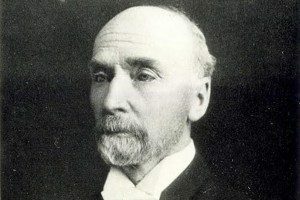 However, Canadian singers depend more on the traditional ballad and story songs than on the “cheatin'” and barroom songs often preferred in the US. The Great Depression, WWII, a more mobile population, the success of the “singing cowboy” movies, the number of US radio stations with access to Canada, the increasing number of pop adaptations in country music, national radio shows and tours all increased the popularity of country music throughout the 1930s, 1940s and into the 1950s. Canadian artists have struggled with low population of the country. Until the mid-1950s country artists relied on live radio shows, regional touring in clubs, barn dances and local television appearances to earn a living. 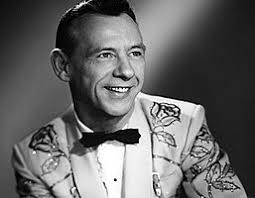 With a shortage of places to perform and the lack of good recording studios, numerous artists, including Ray Griff, Stu Phillips, Lucille Starr and Ronnie Prophet, followed the lead of Hank Snow and moved to the US. In the 1960s country records became more pop-oriented. Artists such as Anne Murray, R. Harlan Smith and Shirley Eikhardt received airplay on commercial radio. Rock-oriented music, of the Good Brothers, Prairie Oyster and Colleen Peterson, gained a wider audience. The urban folk boom of the 1960s consisted of artists such as Ian and Sylvia Tyson, Gordon Lightfoot, Murray McLauchlan and Bob Ruzicka. These musicians have both a strong urban and country appeal. The folk-music boom introduced bluegrass, the jazz of country music, and traditional Canadian fiddle music to a much larger audience. In the 1990s there continued to be a strong crossover feeling to Canadian country music. 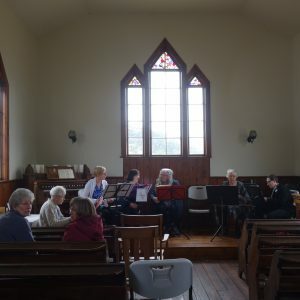 The addition of new music artists Rita MacNeil, Quartette, Colleen Peterson, Ashley MacIsaac, The Rankins and The Barra MacNeils appeal to Canadian music audiences in general. broadcast day, and by 1998 there were 110 full-time country stations and 36 part-time stations broadcasting country music in Canada. Because of this the 1980s saw a revival of interest in the older styles of country music of Ian Tyson, k.d. lang and groups such as Blue Rodeo and Spirit of the West. The more mainstream music of Eddie Eastman, Terry Sumsion and Terry Carisee, etc, remained popular. Hunter Show and syndicated broadcasts such as Sun Country and the Family Brown Show. More importantly, with the advent of country music specialty television channels, such as the Nashville Network and Canada’s Country Music Television (established in 1994 as New Country Network), new exposure possibilities for country music artists became possible. A new genre of country music, often referred to as new country, arose to take advantage of these opportunities. Borrowing promotional and production techniques along with a dose of attitude from rock music, this new music challenged accepted ideas of country music. This resulted in giving country musicians a much wider and more urban audience. Canadian artists who emerged in the 1990s include Michelle Wright, k.d. lang, George Fox, Charlie Major, Blue Shadows, Prescott/Brown, Paul Brandt, Cassandra Vassik, Patricia Conroy, Lori Yates, Terry Clark, the Wilkinsons and multi-award winner Shania Twain. There is still the notion that to make it big you must move to Nashville. However, television now offers Canadian artists a chance for much wider exposure. A 3-hour 1992 CBC-TV special brought new country and old country together in a program devoted to the history of Canadian country music called Country Gold. This program featured interviews and performances by Canadian artists from Hank Snow to k.d. Lang. The Canadian Country Music Association, formed in 1975 as the Academy of Country Music Entertainment, has sponsored an annual country music week in different cities across Canada. Country Music Week, as well as, Big Country Awards have brought artists and industry people together and have become major events in the promotion and development of country music. Therefore, the annual broadcast of the Country Music Awards has for many years been the top-rated Canadian music show on television. The Country Music Association is also responsible for the Canadian Country Music Hall of Honour, with a permanent home in Edmonton. The Canadian Country Music Hall of Fame however, is situated in Merritt, British Columbia. The Canadian Country Music Hall of Fame has released a Then and Now Album Volume 1. On September 7th, 2018 the first-ever Canadian Country Music Hall of Fame album was released. During the Canadian Country Music Awards in Hamilton, Ontario the ‘Then and Now – Volume 1’ compilation album was released. The album features Hall of Fame inductees Ian Tyson, Murray McLauchlan and Michelle Wright. They performed their biggest hits, in duets with some of today’s top names in Canadian country music. Some of the top artists performing are Brett Kissel, Aaron Pritchett and Jess Moskaluke. They were proud to participate. There is an artifact collection of plaques, vintage turn table with 100’s of records (collection growing), national artist memorabilia, builders or broadcasters, living or deceased. Secondly, the country Music Hall of Fame includes extensive biographical information on the inductees. 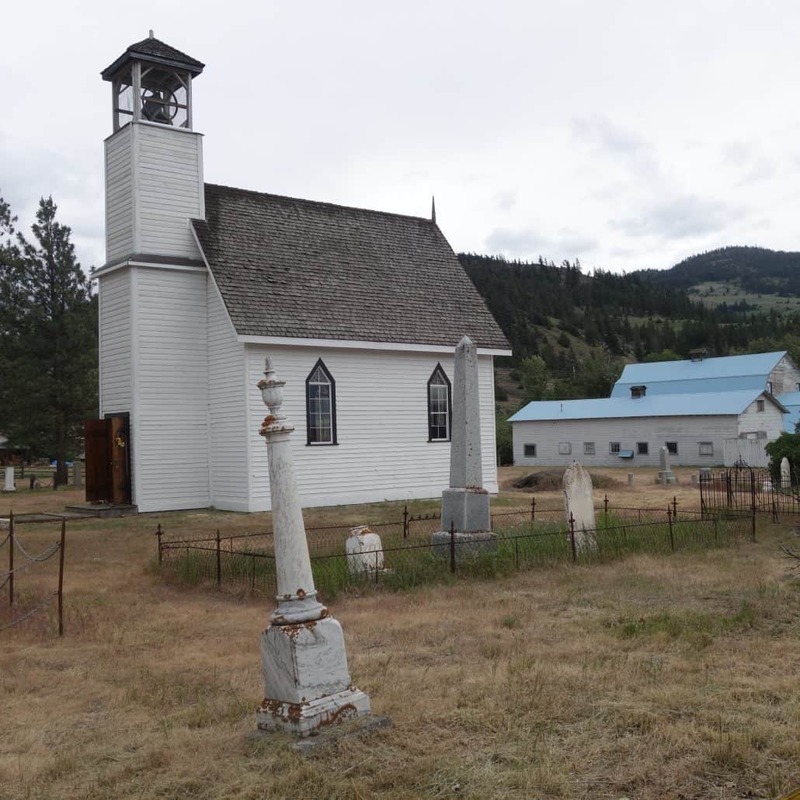 It is located in downtown Merritt, British Columbia at 2025 Quilchena Avenue. The facility is open year-round for custom tours, and is open to the public on seasonally adjusted hours. The initiative is governed by a not-for-profit society (the Canadian Country Music Heritage Society). 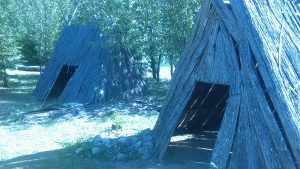 What type of First Nation traditional foods and lodging in the Nicola Valley have helped my people endure the hot summers and cold winters? My people, through many generations, have experienced the changing seasons of the Nicola Valley for generations. The extremes of our Nicola Valley weather systems have taught us many survival skills and have played a large part in growing our appreciation of our lands. How did the First Nation people survive is a journey I would like to share with you? My ancestors used to live throughout the Nicola Valley territory traveling in groups. Living a nomadic life on the move provided my people the food necessary to last through the long cold winter months. Families would gather together in our seasonal villages and enjoy cooking over the open fire, and celebrating our traditions. 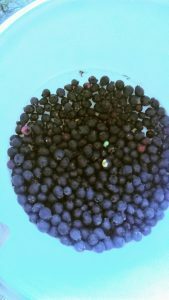 First Nation traditional foods in Merritt and throughout the Nicola Valley consisted of berries like Saskatoon berries, huckleberries, choke cherries and soap berries. My ancestors’ diet wasn’t limited to just berries. No… we also fished and hunted wild game. During the fall seasons, my First Nation people would fish the mighty Fraser River. My people of our village would catch enough fish to survive the long winters. During the entire year, dependent on the weather, village hunters pursued wild game while hunting with bows. 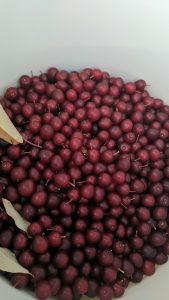 How Did My People Preserve Their Traditional Foods In Merritt BC? In the early days of my people we often preserved our traditional foods by drying it on specially made mats of tule reeds. Tule reeds were gathered during the winter months on the shores of nearby lakes. Properly prepared these reeds were used for drying and preserving many of our First Nation foods. My people would also make larger mats from the tule reeds to double as floors in their makeshift lean-to’s during the warmer months. How Did The Nlaka’pamux People Carry All This Food? As gathers and hunters we required transportation of our goods. Before the introduction of horses to our culture by the Spaniards, my people would use dogs to transport our goods. Because we lacked horses at that time my people would walk to and from, here and there with their dogs. The dogs would be saddled with food packed in ceder root baskets. Where Did My People Live Back Then? 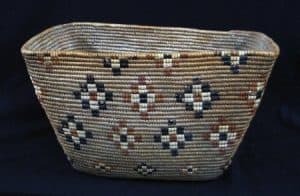 My First Nation ancestors used all sorts of materials from the land and waters. Because of our nomadic nature we were often in need of a portable shelter. In the summer months we used temporary shelters because of the ease of transportation moving from location to location. These portable lean-to’s were created out of fir boughs and tule mats. If the location required a longer stay my people would build these lean-to’s with cedar bark. Those summer temporary shelters wouldn’t hold up to the long winters of the Nicola Valley. During the winter season our shelters would take on new materials to create a new kind of shelter more durable to the winter conditions. This new shelter covered in earth is called a pit-house. In our first Nation tongue Nlaka’pamuxcin it is called a “Sheeiskin”. Lots of thought and planning went into these structures. 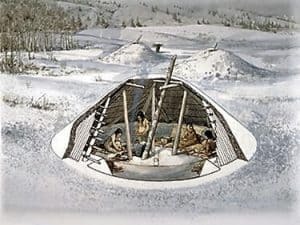 They would spend weeks looking for a proper location, then, when they found an acceptable spot, the community would work together and help build a pit house. The sheeiskins were typically conical in shape with a hole in the center, which would let the campfire smoke escape through the hole. The First Nation men would enter down a ladder through the same center hole. while the women would enter through a side entrance. Each First Nation pit house could usually hold up to 3-4 families. There are locations in the Nicola Valley where you can still see the pit houses left behind from old sheeiskins, like at Monck Provincial Park. 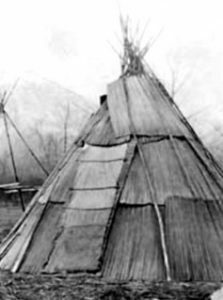 Our First Nation traditional foods and lodging made it possible for my ancestors to survive the four seasons of the Nicola Valley. Today we still harvest berries in the traditional areas and fish and hunt using the old ways – as well as the new. Our respect for our elders has never wavered. Elders are given first servings of any food we have gathered, and they are the keepers of our history often sharing their stories of our traditional and cultural ways. What is the traditional name of the First Peoples in my own area? Please feel free to contact me with your answers. I always love learning about new cultures. Or, if you also are Nlaka’pamux, share your stories with me!